These bills aren’t really about religious freedom, but instead use religion as an excuse to threaten the rights, health care, and dignity of LGBTQ people, women, nontheists, people of minority faiths, and others. These bills take many forms, but in today’s legislative preview, we’ll focus on three bills that are indicative of the types of so-called “religious freedom” bills we will see across the state legislatures: a marriage refusal bill, a healthcare refusal bill, and a First Amendment Defense Act bill. 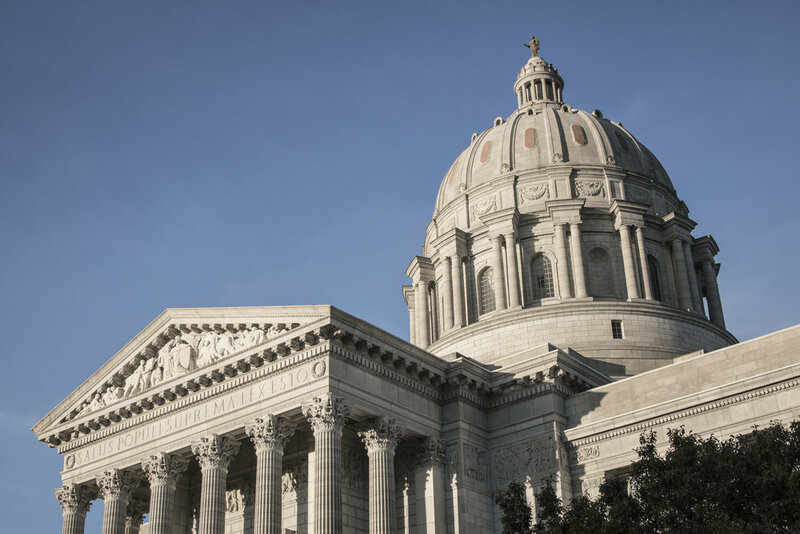 Missouri HB 1763: This bill says that any person authorized in Missouri to solemnize a marriage may refuse to perform any marriage that is contrary to their religious beliefs or sincerely held moral convictions. Obviously the US Constitution already gives clergy and houses of worship the authority to do this. The problem is that the bill also applies to judges. This means that a judge—a government official, and the only secular officiant approved by state law to perform marriages—would be able to refuse to perform a marriage ceremony for an LGBTQ couple, an interfaith couple, or a couple who had children before they were married. Government officials are public servants and should treat all people equally and fairly. No couple should be denied their fundamental right to get married because of the religious beliefs of a state judge. New Hampshire HB 1560/SB 331: These identical bills would deny transgender individuals healthcare by barring the state from using state Medicaid funds for transition-related healthcare. One of the justifications for the bill is that funding such medical care would violate the “rights of conscience and religious liberty.” That, of course, just isn’t true. Taking away access to this critical health care is discrimination, plain and simple. When religion is used as a justification to deny healthcare, it puts patients’ health and well-being in jeopardy and can cause catastrophic harm to those critically in need of care. Religious freedom is a fundamental right. So is the right to make your own decisions about health care. These bills would betray both. Florida HB 871: A First Amendment Defense Act, this bill would sanction discrimination by allowing businesses to ignore state and local laws and policies that conflict with their religious beliefs. For example, a Miami business with anti-LGBTQ policies could ignore Miami’s nondiscrimination laws because Florida’s state nondiscrimination law does not include sexual orientation. Although targeted at LGBTQ people, HB 871 would sanction discrimination against a large swath of Floridians: unmarried couples, single parents, people of minority faiths, and, well, pretty much anyone else. No business, including a bakery, dress shop, or florist, should be allowed to use religion as a reason to treat customers as second-class citizens. We expect many more bills like this to be introduced this year. Our Protect Thy Neighbor campaign is your one-stop shop for news, resources, and information about how you can make a difference. Most important, be sure to check out our 2018 State Legislative Tracker to find bills introduced in your state. Sign up for our action alerts now to stay up-to-date on what is happening in your state and how you can help. Also follow us on Twitter and Facebook so you can stay informed and share our posts with your family, friends, neighbors, and legislators to amplify the message. Religious freedom means we’re all free to believe or not believe. But it doesn’t give anyone the right to act on their beliefs if it would harm their neighbors. Although some state lawmakers may seek to sanction using religion to discriminate, we won’t back down.